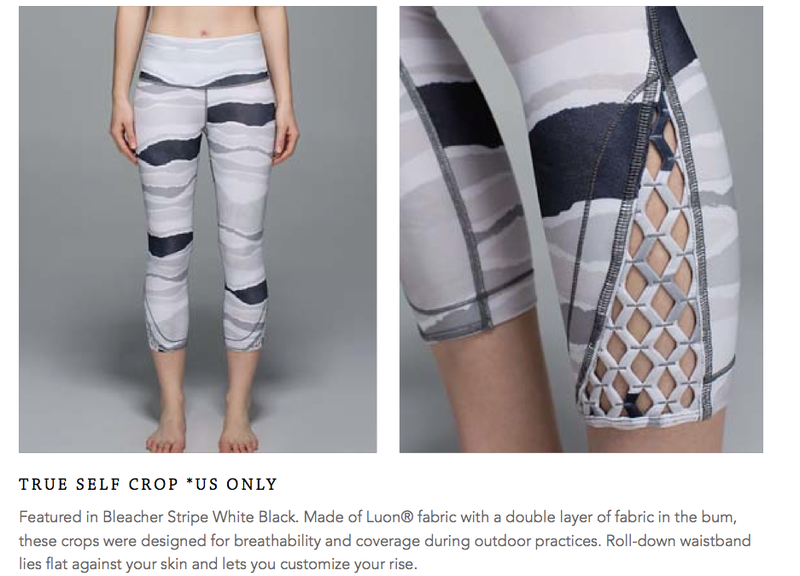 New True Self Crop in Bleack Stripe White/Black - Loving both the print and style - very cute! These have double fabric in the rear, too. The Wrap it Up Tank is making it to the US. We saw this hit Europe in Black but it's nice to know it also is coming in a color. It's designed for C/D ladies so I'm definitely going to order it to try. Funky True Self Bra. The back reminds me of a mini basketball net. I love the Iris Flower Bleacher Stripe. 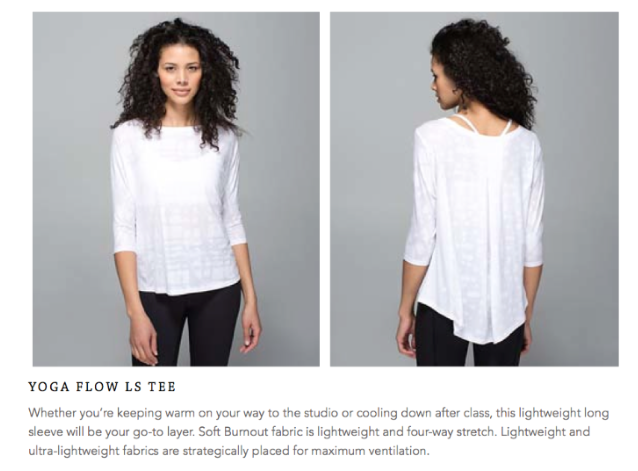 New tops called the Yoga Flow LS and Go Om SS are coming in burnout material. 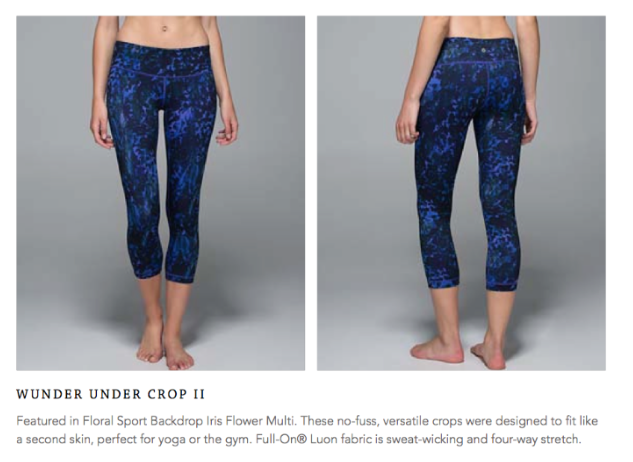 These are tempting - new Iris Flower Floral Backdrop Wunder Under Crops. Jeweled Magenta Run Times for Canada. 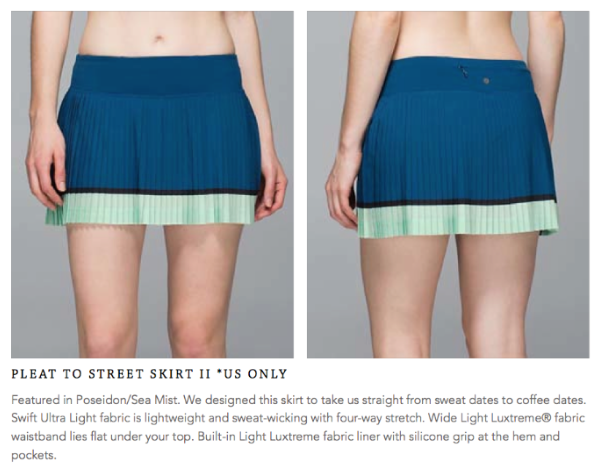 Poseidon Pleat to Street Skirt coming to the US. 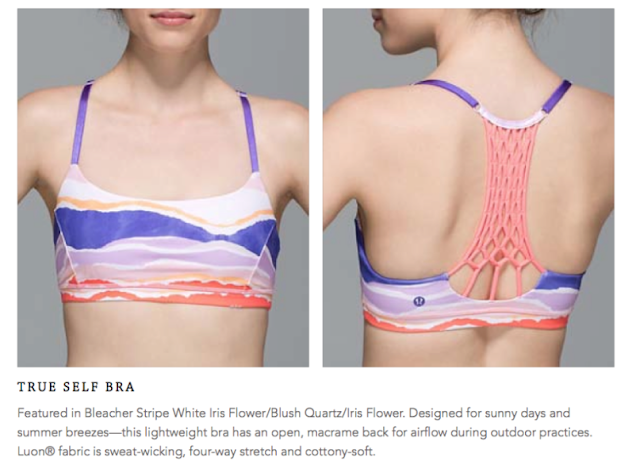 Canada is getting the Iris Flower Energy Bra. I really wish this was solid. 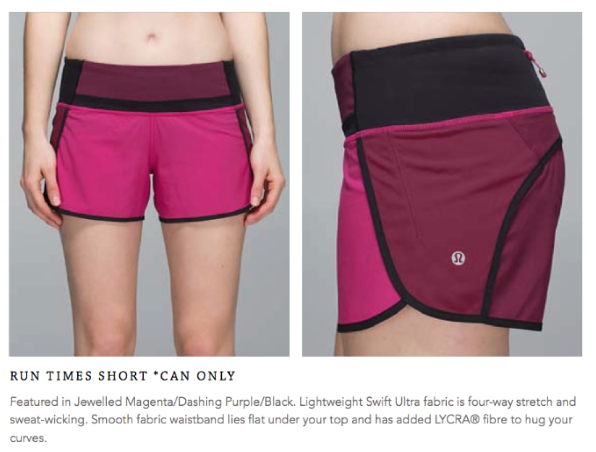 Really excited about the new crops, bra, and new skirt color combo! Do you think these items will be uploaded next week? I wish the skirt were solid! 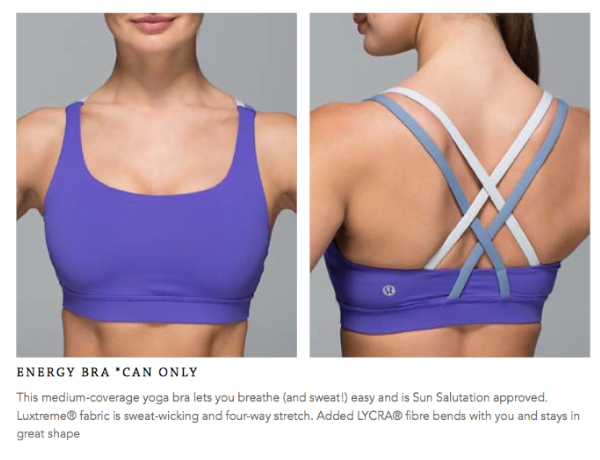 I also like the look of the energy bra in a solid or at least with a different combination of strap colors.